Make sure you’re never late with the Keypad Hidden Time Watch. 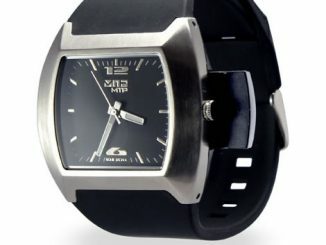 It’s a pretty nifty watch that will turn more than a few heads because of its unusual and geeky design. Reading the time off from the watch is simple, really, once you figure the trick out. To read the time off the Keypad Hidden Time Watch, just push any one of the keys on the face of the watch and take note of the digits that light up. You’d think it was a lot harder than that, but the keys are pretty much for aesthetics purposes only. The Keypad Hidden Time Watch is available from ThinkGeek for $99.99. 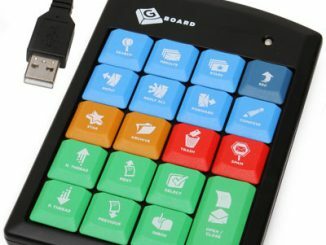 Instead of going for yet another one of those attempts of putting a calculator inside a computer mouse, like Ezkey, Sanwa, and others have tried, the Japanse company Takumi decided to try something different by designing a calculator like a keypad. The keypad with cover and the keypad with trackball have already been invented, so what to do next? Of course, let’s throw in a spacebar instead and we’re ready to launch. 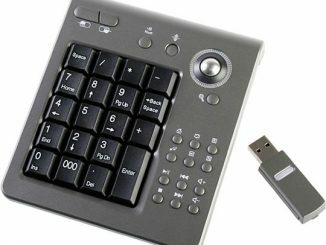 If you don’t want your nosey friends or co-workers to be able to see what top secret figures you are entering at your computer, this new USB keypad with cover might be just the ticket. 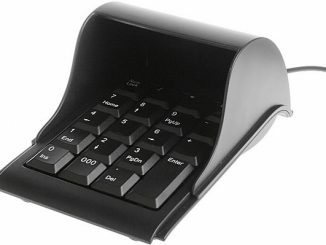 This wireless keypad features 19 standard keys, 13 hot keys and a high precision 1000DPI trackball. The wireless transfer is done using a 2.4 GHz radio frequency. 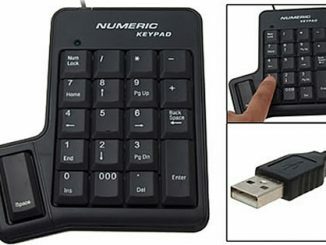 If you don’t feel comfortable using a mouse with a built-in keypad, but still like having a separate set of numeric keys for your laptop, this product might be just the ticket. Maybe you remember the Flexible Keyboard with Skype Phone and USB Hub that was released back in January. 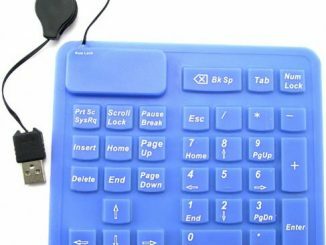 Now you can also get a separate numeric keypad in the same style, made of the same kind of rubberlike material. This black watch features a removable USB flash drive with a 4GB capacity, allowing you to always have easy access to your most important files. It’s not the first two-gadgets-in-one post we see today, and it’s not the first keypad mouse we have covered either. Not that long ago there was a similar product from Ezkey floating around in the news. This new spy gadget allows you to search for hidden cameras. It can detect the lens of any wired, wireless or covert camera from up to 50 feet away.